WINNER Independent Music Awards, NEW Recordings, AUSTRALIA and more..
We are very vere excited…THE KNOCKOUTS are playing with BRIAN SETZER’s Rockabilly Riot on their premiere night of the Europe Tour at Azkena Rock Festival JUne 25, Aitoria Gasteiz, Spain!!! Watch out for the updates on facebook (www.facebook.com/theknockouts ) for the new summertime EP to be released in MAY this year! – At the moment they are also working on new material for upcoming full length album release in 2012. Johan was recently in Australia exploring options for recording and touring down under! He spent some time in an exclusive Melbourne Recording Studio planning a few surprises on the next full length album. 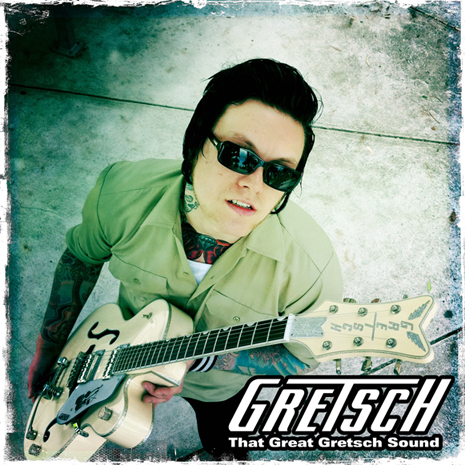 As a endorsed artist with Fender/Gretsch Scandinavia, Johan has been working with Gretsch Australia and would like to give A BIG THANK YOU to GRETSCH AUSTRALIA for the Chris Cheney signature GRETSCH Guitar! Last week Johan was invited to play live in the studio of Bandit Rock (the biggest rock channel in Sweden).